Just before Christmas, Karateka ($1.99), Jordan Mechner’s modern re-envisioning of his 1984 Apple II classic, landed in the App Store. Karateka is a game that tells the story of Princess Mariko held captive in the fortress of the evil warlord Akuma, and of the vow of her three love-sick suitors to bring her to freedom. Shortly before the iOS version was released, we had the opportunity to chat with Mechner about his new release, as well as his work 30 years ago on the original game and its follow-up, Prince of Persia. TouchArcade: Our review of the new Karateka for iOS goes into lavish detail regarding my own, personal, experience of picking up the title at the local game shop back in 1984. Karateka was certainly a big part of the youth of many an old, greying gamer like myself. You designed and developed the game completely on your own, I believe. How long an effort was that? Jordan Mechner: It was released for the Apple II in 1984, and I started work on it two years earlier, in 1982. I was in college while making the game, so it took two years — programming between classes. TA: Yale would be an understandable distraction. Do I recall, correctly, that your father composed the musical score? Jordan Mechner: He did. My dad composed the music. Of course it was a bit of a challenge to get it to sound like anything on the Apple II. We recently made a few little videos I’ve posted to my blog that compare the process of making the game in ’82 vs. making it now. Sort of contrasting the process of shooting Super 8 film and rotoscoping it vs. animation done today and the process of transcribing my dad’s sheet music into the Apple II vs. the way that Chris handled the music, today. TA: 1982. The Apple II had 48K and a 1MHz processor and a 143K floppy. The new Karateka weighs in at 1 gigabyte in size. That’s about 7,300 times more data than the original. That’s a lot of floppies. So, way back when, you needed shelf space and the audience was relatively small. Today we deal in digital downloads and the audience is immense — everywhere you look, somebody is holding an iPhone or iPad. Do you view the current environment as completely better for you, as a game maker? Jordan Mechner: It is a much larger audience, but then there are so many apps and games available today, as well as everything else on the Internet that’s competing for your attention. So, on the one hand, it’s great for the developer to be able to reach the consumer directly, but breaking through that noise to make people even aware that your games exists is a huge challenge. Whereas, in 1984, if you were lucky enough to actually get your game published, the number of other Apple II games released was in the dozens, not thousands. TA: The original Karateka was published by Broderbund. I do happen to recall the slick magazine ads and even getting Broderbund catalogs as pack ins with other games and even in the mail. You’d have it in your hand to flip through, on nice, glossy paper. “Just look at that great line-up." And that really was rather more visible than what most developers today have at their disposal. TA: Back in the early ’80s, many of the games being released were being written by single individuals or small teams, sometimes selling their floppies packaged in zip-lock bags. We’ve heard many developers liken the opportunity presented by the App Store and Apple’s freely available development system to that of those early days of home computer game development. Do you share this sentiment? Jordan Mechner: Yea, in many ways game development has really come full circle. We went through a period in the ’90s where it seemed like you needed a big team and a lot of resources to make a game at all. Of course, today’s big games are bigger than ever, but now it’s once again possible for one person or a very small team working out of their house to make a game that might reach a huge number of people and get a lot of attention — and I feel like it hasn’t been this way since the ’80s. TA: So it took two years to develop the original Karateka, while you were at Yale, starting in 1982 What was the overall timeframe for the remake? Jordan Mechner: It took about 18 months for the 4 versions [PC, Xbox 360, PS3, iOS]. TA: How did the iOS version fit into the development timeline / process? 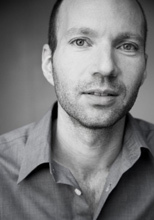 Jordan Mechner: We tried to develop the console and PC versions together – keeping them each up to date along the way. The iOS version is a bit different, of course, because of the touchscreen and it being a mobile device, but I would say 80-90% of it uses the same assets — the same animations, cinematics, music and sound. TA: I’ve seen some of the pencil sketches you used to flesh out the overall concepts and play system of the original game, way back when. Can you share some of the processes you used in shaping the remake, here 30 years later? Jordan Mechner: Well, every game evolves. We start out by making sketches and by imagining something, but in the course of actually making it, and finding out how it feels to play, things change. The two particular things that we started with in the new Karateka, that we stayed true to throughout the remake process, were the multiple suitors and the rhythm fighting mechanic. It took some experiments to figure out exactly how that rhythm fighting would play out, because it’s a relatively untried game mechanic. But, I was looking for a way to update the combat in a way that would create a cinematic feeling, and also that sort of feeling of back and forth that we also had with the Apple II game — so that it wouldn’t just be a button masher. I didn’t want it to be the kind of game where you have to learn complicated button combinations or keep track of a lot of things. I wanted it to be really simple, so that you just pick it up and immediately understand what you have to do and just start having fun. I thought that the back and forth attack / counter attack would enable us to change camera angles during a fight and enable the music to reflect what was happening during the fight. It’s sort of a surprise when you start to play, but once you grasp it I think you get it pretty quickly. TA: I did find it a surprise and I’m not aware of another game featuring this kind of rhythm fighting mechanic. As far as you know, the mechanic is unique to Karateka? Jordan Mechner: Yes. It is different, and we knew we were taking a risk by using a mechanic that was new, but hopefully it achieves, in a different way, some of the same things that the original game did on the Apple II. If you’ve played all the way to the end and rescued Mariko, you know that some of the later enemies can get quite sophisticated in their attack pattern. TA: Sophisticated indeed… I did manage to rescue Mariko, but I must admit it was with The Brute. I’ve, since, been trying to see victory with The Monk or, better of course, the True Love. There’s a definite draw to go back and get it done “right," and that seems a big piece of what gives the new game a similar feel to the old, but, again, by way of a different approach. Jordan Mechner: I think so. The original Karateka, of course, was a game that was very punishing in the style of ’80s games. If you lost a fight, you had to start the whole experience over from the beginning. The three suitors gave us a way to have success that still wasn’t the most fulfilling possible ending. Also, I wanted to be true to the original Karateka in the size of the game. We talked about, before, how there’s now a gigabyte of data but, as a playing experience, the original Karateka was a game where you could experience a story from beginning to end in a single play session. Today there are games that give you a story that you can play through in a week. And, especially on mobile, there are a lot of games that are an addiction you can pick up and play anytime, and they just loop forever. I really wanted to try to create a game for the iPhone that, if you had half an hour or 40 mins, you could play through a story — get to the tragic ending or happy ending, and that’s a complete experience. And yet, even after you’ve finished the story and rescued Mariko, you might still want to pick it up later that day and just play it again to try and reach a happier ending. TA: Most readers know you best for the follow-up to Karateka, Prince of Persia. It arrived at the end of the ’80s. Had the game publishing scene changed much in the span of the ’80s, since you started developing Karateka? Jordan Mechner: Well, I took a long time finishing Prince of Persia after Karateka. It was 1989 when Prince of Persia shipped, and I started working on it in 1985. I was 17 when I started Karateka and I was 25 by the time Prince of Persia was finished. I would take breaks — I would do something else for eight months. I’d get frustrated hitting a stumbling block and I would do something different for a while. I wanted to make the game really good, and that’s why Prince of Persia took four years. And, by the time it shipped, the Apple II was getting near the end of its life and I was disappointed to find that stores that had been stocking Karateka and selling it would not stock Prince of Persia because they weren’t taking new Apple II games. We had to sort of hang on until we could make ports for the PC and the Mac. TA: And when those ports came, you saw some notable success. Jordan Mechner: It took a couple of years. The PC version shipped in ’90 and the Mac version in ’92. It was the Mac version that made Prince of Persia a hit as a computer game for the first time, where it had not gotten so much attention on Apple II or PC. It was one of the first Mac games that played in color. There were several different Macs — the black and white ones, the LC with the small color screen, and the Macs with the larger, color screens, and we wrote the Mac version to run on all of them. But, in the end, it was really the console versions in ’93 — Sega and Nintendo — that made Prince of Persia so popular worldwide. TA: Indeed, I think few of our readers are unacquainted with at least one of the Prince of Persia titles. Thank you, Jordan, for taking the time for a chat about your latest. I think fans of the Apple II classic will enjoy hearing a bit of background on Karateka, as well as playing the new game, itself. I think there’s a lot there for the unacquainted, as well. Jordan Mechner: I hope so. I feel like iOS is really the right platform for Karateka. We were kids when we were playing Apple II games. I wanted Karateka to be simple enough that former Apple II gamers could enjoy it and also share it with their kids. And thank you for your interest in Karateka, old and new! Those wanting to hear about the making of both Karateka and Prince of Persia in much greater detail should have a look at the journals Mechner kept during the development of both titles, which he has recently released.